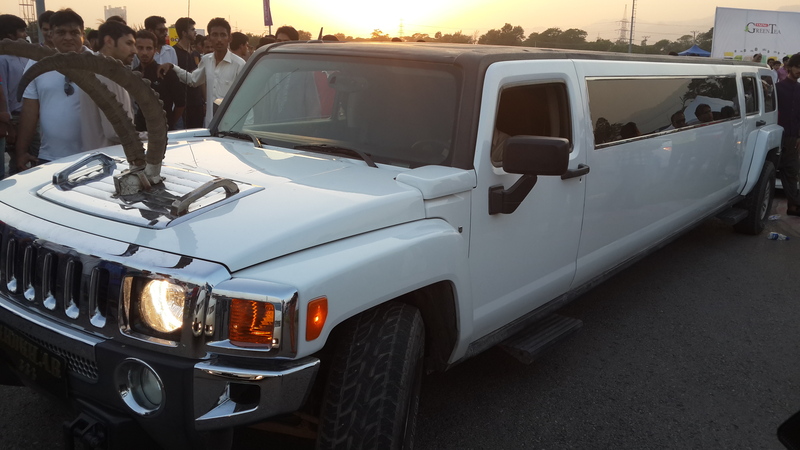 Pakwheels has been conducting auto shows for the last four years and recently organized their best todate at the 2F2F Karting Ground [Lakeview Park] near Rawal Lake on Sunday the 13th of September 2015. Pakwheels is the biggest auto show in Pakistan. No one comes even close to it. The great thing about it is that it’s not just a car show but more of a carnival with the sponsoring brands showcasing their products, and engaging the visitors in different exciting activities. For instance Atlas Battery conducted a free-battery check-up service as well as a talent show which allowed the visitors to showcase their talent. While the Pakwheels Islamabad Auto Show wasn’t the biggest they’ve held – the Karachi and Lahore ones get far more audience – it was their most unique. Some of the activities that took place here were unprecedented for any auto show in Pakistan. For the first time, live coverage of the event was streamed live throughout the day on www.atlasbattery.tv. Three different cameras including a drone camera covered the event from different angles. Moreover, a host was used to cover the event. The host Komal interviewed the visitors, the sponsors and the organizers of the event. Another unique feature was a flash mob arranged by the main sponsor Atlas Battery that performed intermittently throughout the day, drawing huge crowd each time it came into action. The success of the event can be gauged from the fact that in spite of extremely hot conditions, the crowd thronged to the event in droves. A number of new sponsors were seen at this edition of Pakwheels. While Atlas Battery and Shell have always supported Pakwheels in organizing this auto show, this time around FAW, Dubai Islamic Bank, Cinepax, 3M and Tapal also came on board. Warid was conspicuous by its absence and so was Mountain Dew. Shell traditionally set up their dome at Pakwheels which showcased actual scale models of the F1 formula racers. This activity was missing this time around. In fact it wasn’t clear what brand activation Shell carried out this time around. They didn’t make use of any brand ambassadors either. Racing game track on which remote-controlled cars are used, was something that Mountain historically organized. In the absence of Mountain Dew, Pakwheels themselves conducted this activity. Apart from this activity, they had also set up a kiosk for promoting & offering their Pakwheels Membership Cards to the visitors. The card owner is entitled to discounts on purchases at various auto stores nationwide. Strangely, there was no chief guest arranged by Pakwheels for this event. In the last Lahore event, there was Ali Zafar, before that there was Fawad Khan. However, Atif Khan, Education Minister of KPK did grace the occasion with his presence. This was the second time Pakwheels has organized this event at this location. Previously, the 2013 Islamabad show was held here. Back then it was a two-day event with the first day reserved for the F3 Karting race. This edition of the auto show was a one-day event with the race missing. The 2f2f karting track was a beautiful track back then with everything maintained in pristine condition. Now it’s just a shadow of its glorious past, a victim of neglect. Parking at this event for the visitors is a major headache as there’s no proper parking area. Atlas Battery took over the management of this aspect of the event and helped Pakwheels by ensuring that the traffic flow was smooth in the narrow lane leading up to the venue. Traditionally, Atlas Battery has promoted its flagship brand AGS at this event along with their ancillary product Battery Tonic [distilled water]. This time around they promoted their newly launched brand Atlas Hybrid as well. Atlas Battery brand ambassadors adorned two different uniforms, one AGS and the other Atlas Hybrid, both resembling uniforms from the European football League. Their flash mob team adorned yet another set of uniform with just the corporate name on it. Their focus however was on their new battery brand Atlas Hybrid. In order to ensure exposure of this brand, they had created branded hangols, tissue boxes, car fragrance and side shades- all items that are prominently visible both within the car and outside it. CinePax cinema conducted a very interesting activity at the event. They offered membership/loyalty cards with 20% discount applicable on all Cinepax cinemas across Pakistan. In return you had to provide your detailed data. A very good idea if you’re looking to build a customer database. Strangely enough, none of the sponsoring brands highlighted their participation at the event other than the main sponsor Atlas Battery. Neither on their website nor on social media. Not a single word. Which is mind-boggling especially for marketing savvy brands like Shell and Tapal. Pakwheels of course had been promoting the event for the last one month while Atlas Battery ran the pre-event hype on three different mediums, digital, print and billboards. The print ads were run in major newspapers including Dawn, Express and Business Recorder. The billboards were placed at strategic locations in Islamabad. And then on the day of the event, the Atlas Battery social media team posted live updates of the event throughout the day on their social media properties including Facebook [www.facebook.com/atlasbattery] Twitter [www.twitter.com/atlasbattery] and Instagram [www.instagram.com/atlas_battery]. Not only that, their brand manager and his team promoted these live updates on their own social media profiles, leading to a cascading effect. One more interesting activity they carried out was experiment with Periscope. Periscope is a relatively new social media mobile app that lets you stream live video via mobile to your followers and the followers can interact with the video in real time. Atlas Battery posted snippets of live stream throughout the day on Periscope. Moreover, first time around Pakwheels also introduced car projection mapping at the show. The whole projection activity was conducted by 3D Illumination – 3Di. Since projection is carried out in a darker area, therefore it was conducted under a tent placed at the back of sponsoring brands’ stalls. All in all, Pakwheels has been able to pull off yet another successful auto show. Their next auto show is scheduled for Peshawar next month. Let’s see how they fare at this considering that Peshawar is going to be uncharted territory for them. And it would be interesting to see what their sponsoring brands come up with for that event and whether Atlas Battery would be able to repeat its stellar performance.